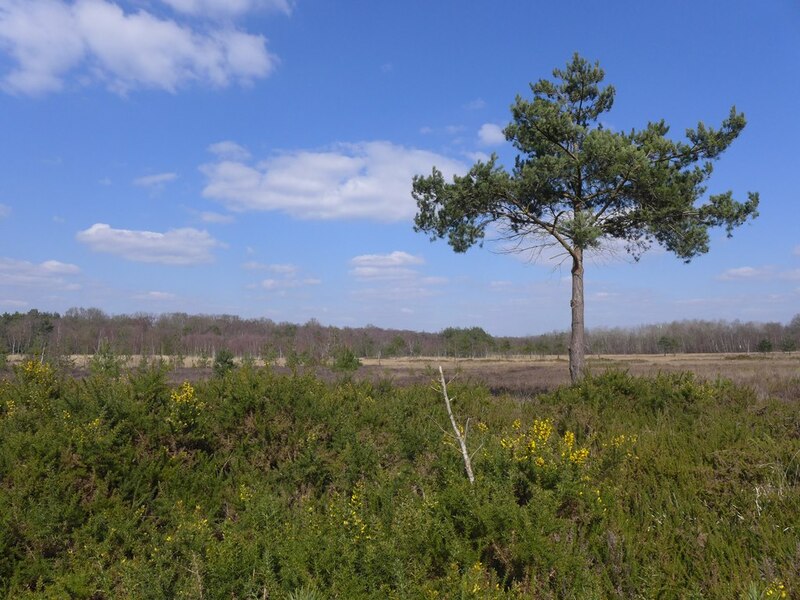 Last week-end was warm and sunny, a good opportunity for a walk in a heathland reserve a few miles away from Guildford. 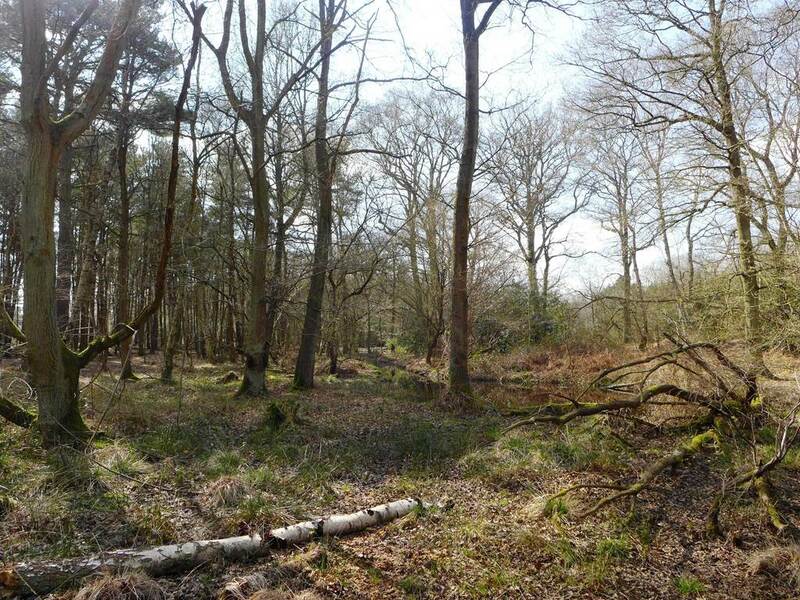 Whitmoor Common is a huge -183 hectares- reserve maintained by Surrey Wildlife Trust, which comprises moor, dry heathland, bracken, birch and pine woodland, a small stream and a large pond. Gorse (Ulex europaeus) is in full bloom (and spines…ouch! ), and seems to be a prized delicacy for pollinators like bumblebees, honey bees and mining bees. 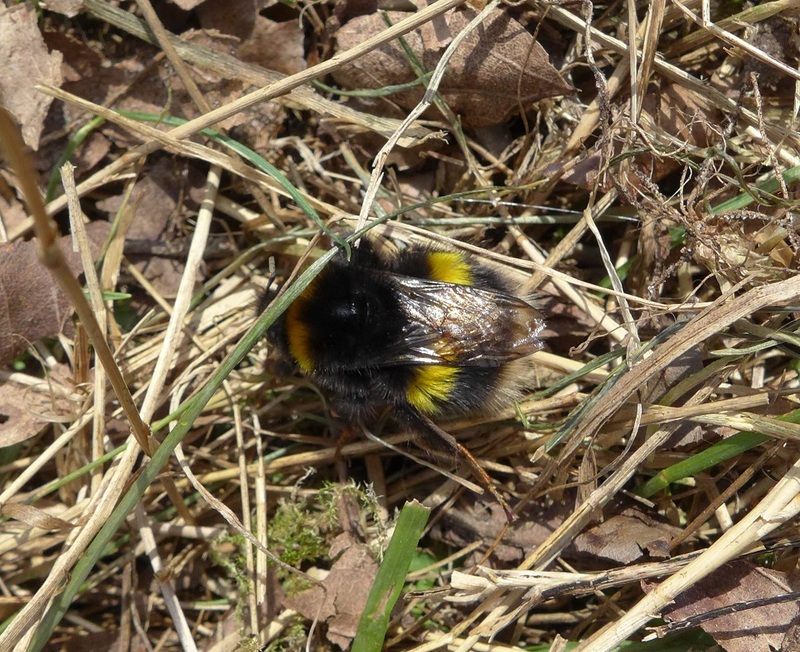 A Queen Bombus terrestris (buff-tailed bumblebee) crawling among dead leaves. The queen is much larger than workers, with a “buff-colored” tail, and having hibernated during the winter, she appears in spring. She will build a nest in the ground (or recycle old nests of mice or voles…why bother building one if she can save some energy!). The ground is still quite bare at this time of the year, but the cross-leaved heath (Erica tetralix) is already very recognizable. 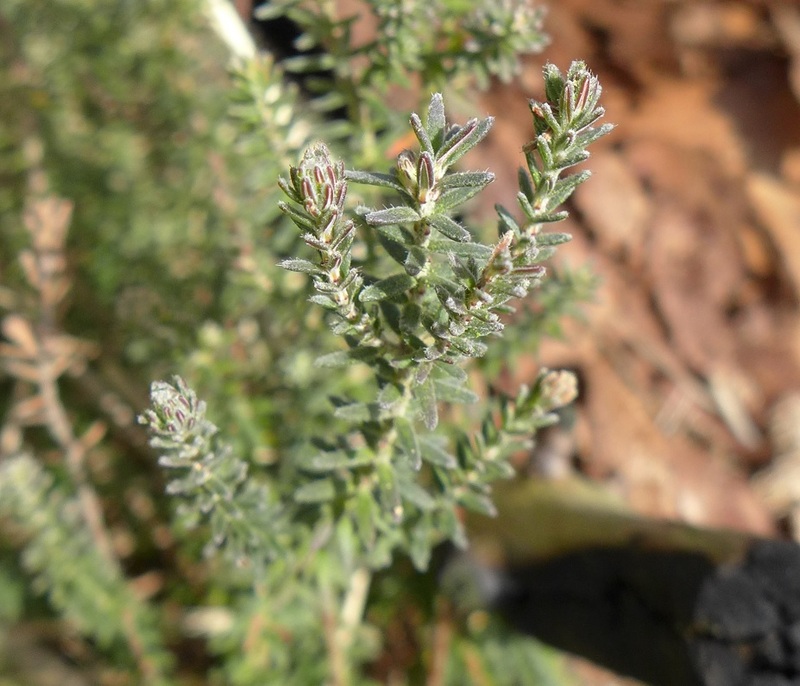 This is an unusual, wet-loving heather with greyish leaves arranged in whorls of 4. Insects are returning too! 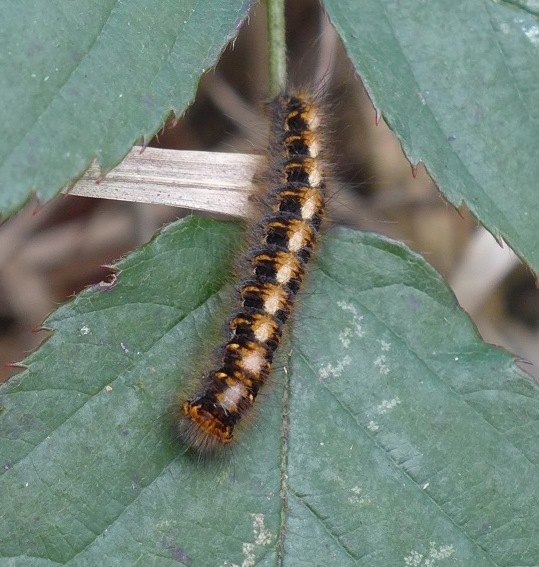 This very discrete caterpillar, feeding on bramble leaves, belongs to one of the largest moths in the UK, the Oak Eggar (Lasiocampa quercus), which has a wingspan of up to 8 cm! Interestingly, it doesn’t feed on oak at all, but has acorn-shaped cocoons, hence its name. 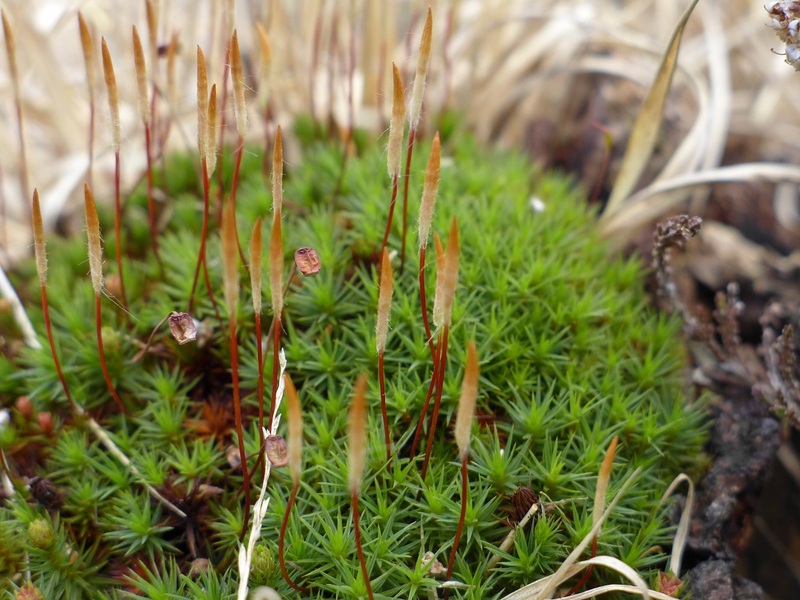 I love taking photos of mosses as much as flowers, so this is my selection…enjoy! High temperatures are expected next week, I can’t wait to see the spring in action, at last! Next Post How much biodiversity on a roadside? 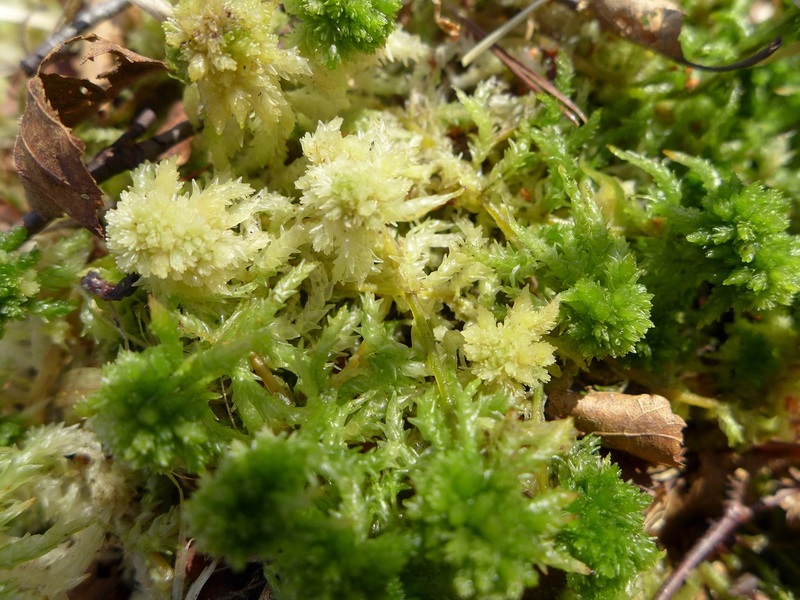 I love mosses, too. Great photos! I can’t wait to see our bumblebees; they’ll be out in a few more weeks here. I’m enjoying your posts of spring in England while I wait. Bumblebees have really just started to appear around here; and I’ve seen some activity around beehives, which is good news too. Everything is quite behind, as the weather has been colder than normal, but hopefully it should get back to normal soon! 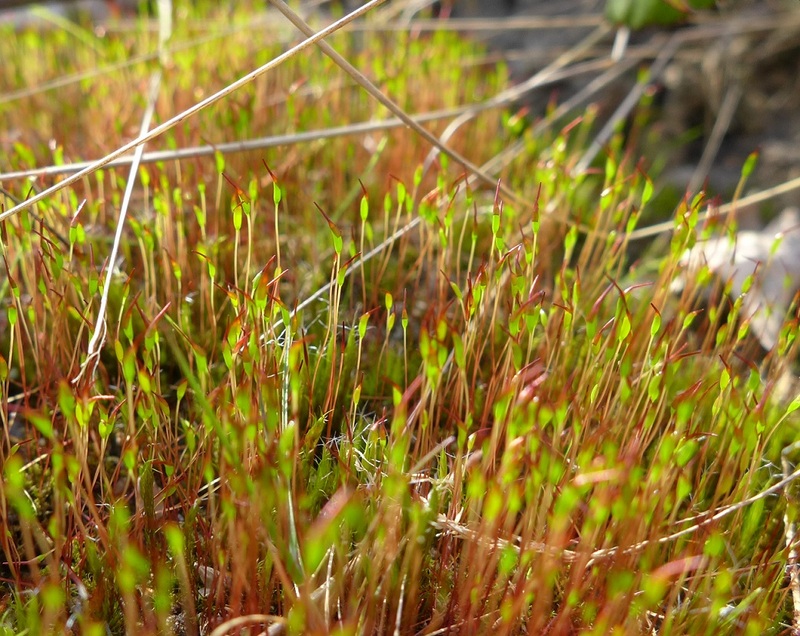 It’s great to see some mosses! 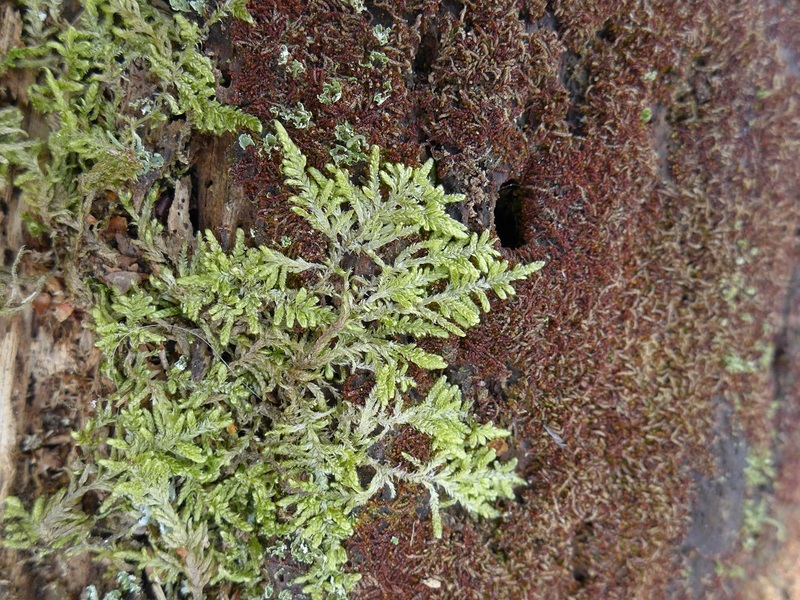 My mosses and lichen ID is quite poor….. too much to learn! Hehe, I know the feeling! 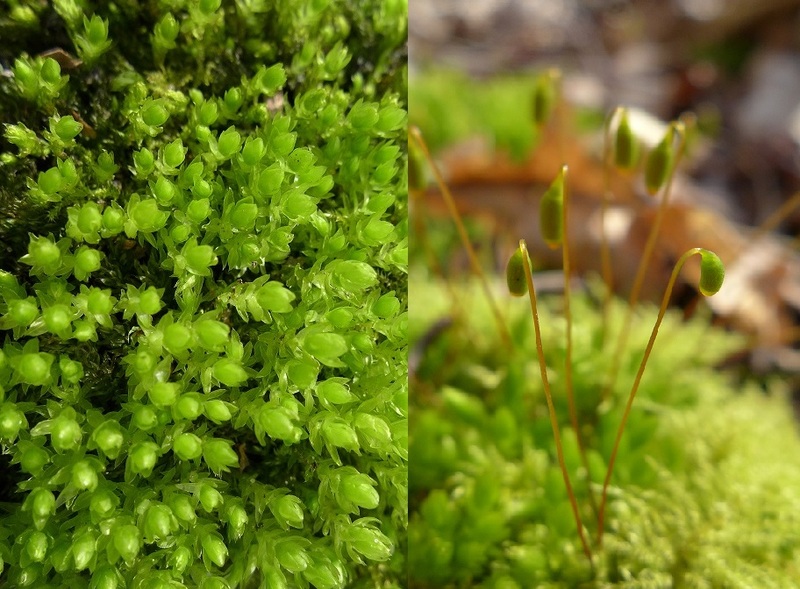 This is a nice guide to mosses and liverworts : http://www.bbsfieldguide.org.uk/content/general-field-key , the only problem is that it’s a completely different world, you’ve got to learn new words and definitions. Thanks, it was a good sized queen. I saw quite a lot of honey bees around too, looks like they haven’t all died! 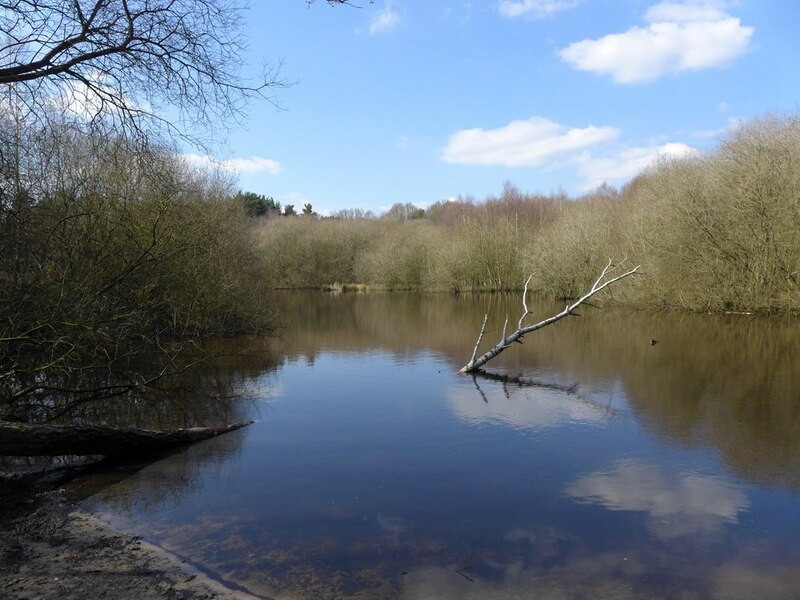 It’s been wonderful weather in Buckinghamshire too. Love your pictures. Beautiful, finely observed photos and writing. Love the mosses. Thank you!